Getty ImagesMeghan Markle attends church in Sandringham, Norfolk, with Prince Harry, Prince William, Prince Philip and the Queen. Meghan Markle made her first appearance with the rest of the royals on Christmas Day. 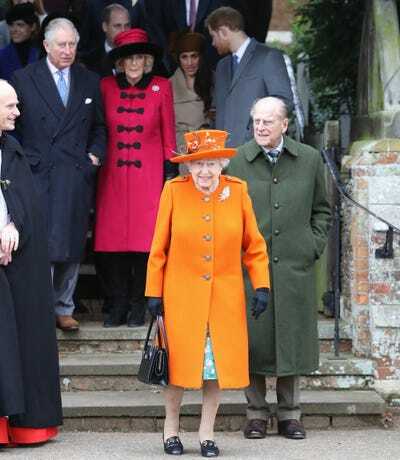 She visited the Church of St Mary Magdalene in Sandringham, Norfolk. The Queen spends every year at Sandringham with her family. 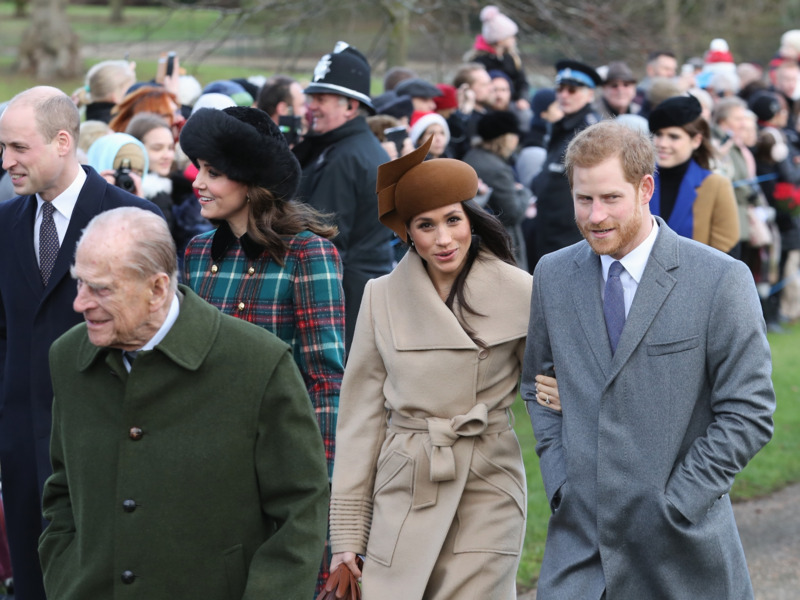 Meghan Markle has joined the British royals on their best-known Christmas tradition – a festive church service which the whole family attends. Markle, arm in arm with fiancé Prince Harry, was photographed outside the Church of St Mary Magdalene, just outside the Queen’s estate in Sandringham, Norfolk, where she always spends Christmas. She walked with Prince William and his wife Catherine, Duchess of Cambridge. Also in the party were Prince Charles, who will become Markle’s father-in-law when she and Harry marry in May 2018. Getty ImagesMeghan Markle attends church in Sandringham with Prince Harry, Prince Philip, the Duchess of Cambridge and Prince William on Christmas Day 2017. It is her first public appearance with other senior royals, and she posed with photographs with the whole group, including the Queen. Previous generations of princes did not bring their fiancées with them to Sandringham until after they were married, but that precedent was broken this year with Markle’s arrival. Getty ImagesQueen Elizabeth, Prince Philip, Prince Charles, Camilla, Duchess of Cornwall (in pink), Prince Harry and Meghan Markle feature in a royal group photo.